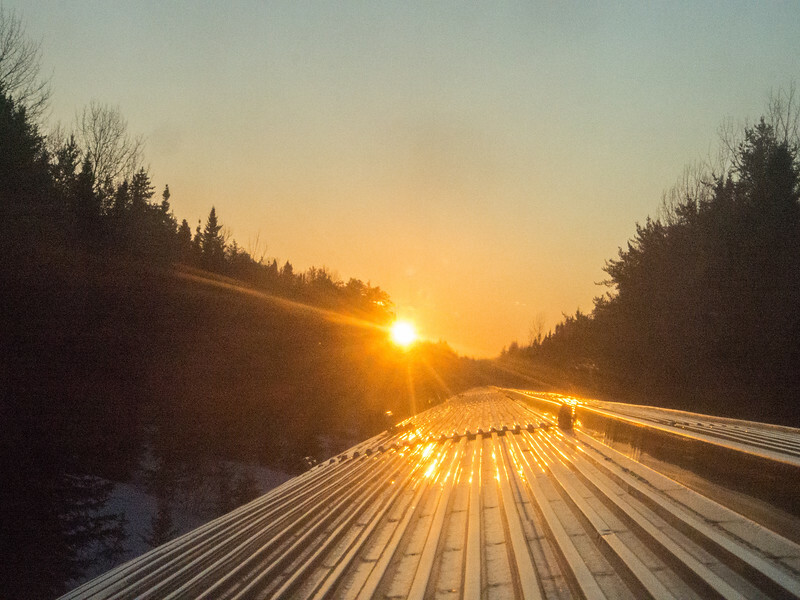 The Via Rail Canadian rolls into the rising sun as it heads east through northern Ontario. This is the third of four sunrises that we'll see on the way from Vancouver to Toronto. The view is from the third of four domes on this 23-car train. Something of a miracle in 2018.